KARACHI: Sindh Young Nurses Association (SYNA) has called for urgent approval of the summary forwarded to the chief minister of Sindh regarding raises in the stipends of nurse students registered with public sector institutions across the province. SYNA President Ejaz Kulleiri in a statement said that the recommendation of raise in stipends of nurses from Rs6,860 to Rs15,880 needed to be urgently implemented and demanded that the relevant notification be immediately issued. Issuance of notification and implementation of the summary would finally turn the four-figure stipends of Sindh-based nurse students to fives figure, as offered to their counterparts in other parts of the country, he said. Rs15,880 in Punjab, Rs20,000 in KPK and Rs10,000 in Balochistan. 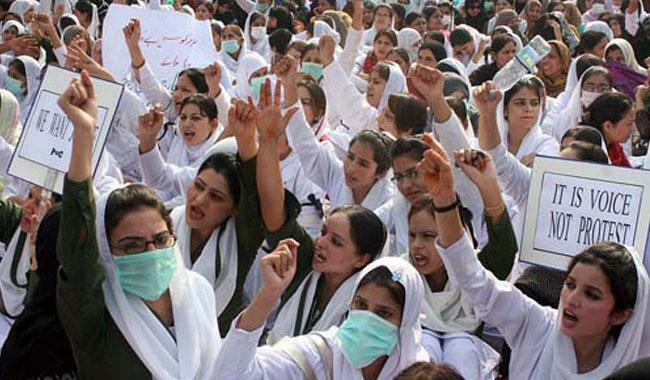 SYNA and Provincial Nurses Association resorted to strike only in February of this year to demand an increase in their stipends as well as improvement in the services and pay structures of nurses and paramedical staff across the province. Taking the situation into account, the provincial government held a series of meetings with representatives of the protestors and agreed to accept all their genuine demands. Kulleiri remarked that, as per the decision made during the meeting held only recently, any further delay on part of authorities might compel nurses across the province to take extreme measures.